On International Anti-Hunt Day, December 3, Voice of Animals and Animal Friends will organize an exhibition of photographs that will be placed at Trg bana Jelacica in Zagreb at 12 noon. Although civilized people agree that shooting and killing animals for no reason is a primitive act of violence, hunters call killing from an ambush or persecuting innocent animals a sport. 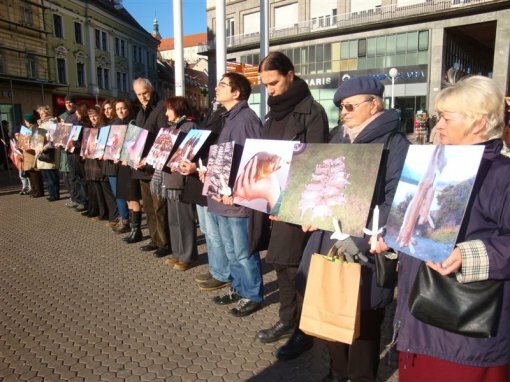 Massacre and barbaric forms of "entertainment" are promoted as part of Croatian tourism even though this sadistic treatment of animals actually degrades Croatia's reputation. 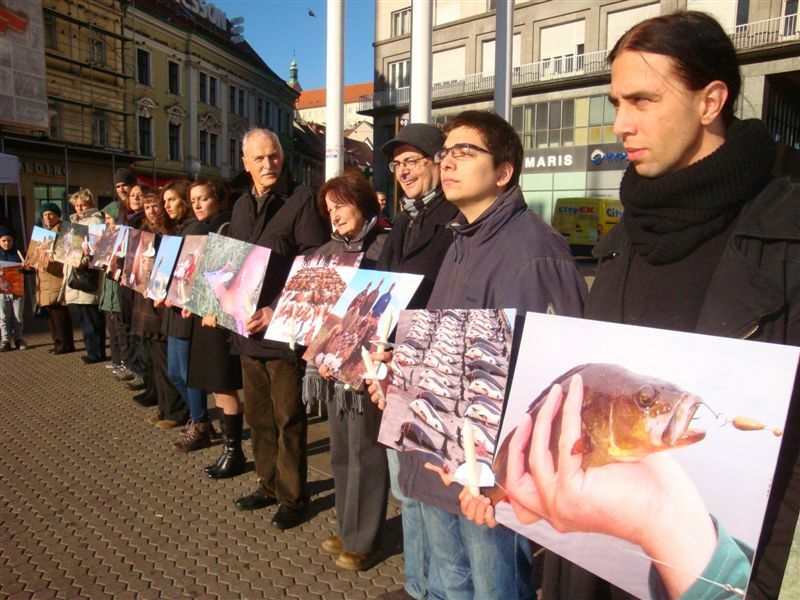 Croatian tourism should focus on beauty and preservation of nature. Spilling blood under the pretense of caring for the environment and animals is morally perverse and ecologically unacceptable. 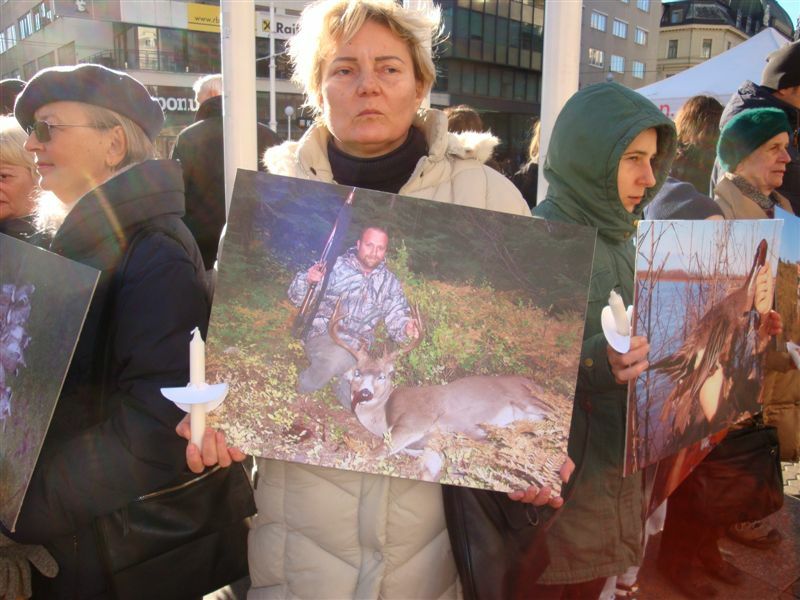 To satisfy their needs for violence, hunters call the persecuting, wounding, and killing of animals a sport, which aims to cover up the fact that it is murder. "Killing off" aims to demonstrate their superiority over animals who do not have the chance to defend themselves and save their lives. 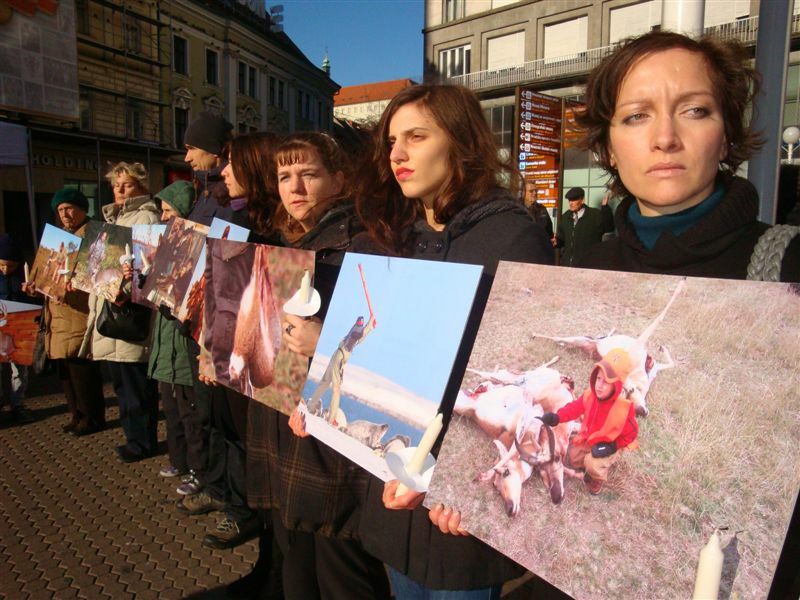 Therefore honoring killed animals is a perverse act of covering up brutality. 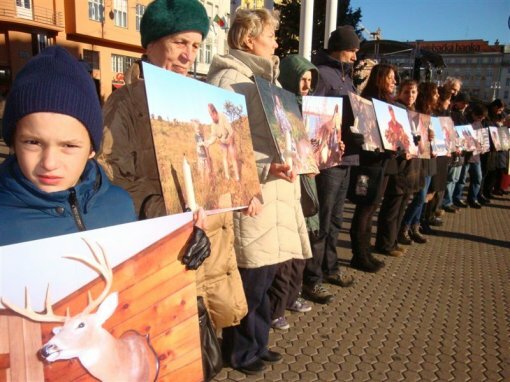 In order to pay their respects to the victims of the human need to dominate the weak and powerless, 15 activists from Voice of Animals and Animal Friends will move "hunt images" from the forests into the city center. Around the clock in the main square in Zagreb they will create a circular gallery of powerful and moving images with their bodies. 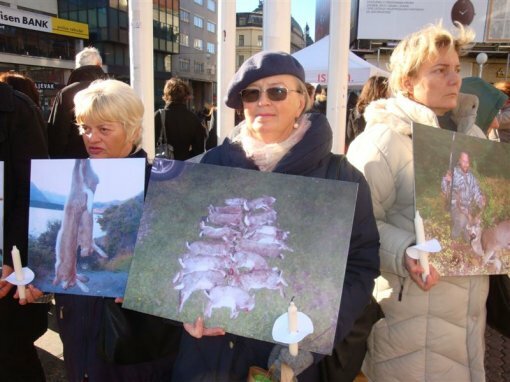 That way they will put themselves in defense of the persecuted animals whose life is taken for fun and sport. 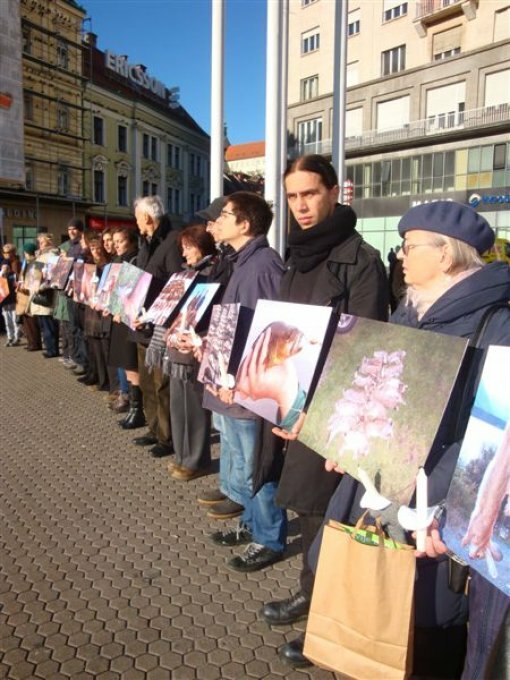 Animal Friends condemns "killing off" of animals and asks that Croatia show its civility and stop promoting hunting as part of its tourism. Tourism should not promote killing and violence. Protecting the environment and approaching animals, who will not hang from walls as trophies but rather live their lives, can be implemented successfully by developing eco-tourism, where animals are "hunted" by cameras, and not weapons. There is great potential in eco-tourism - new jobs, income from foreign and domestic tourists, and the chance to learning about nature. 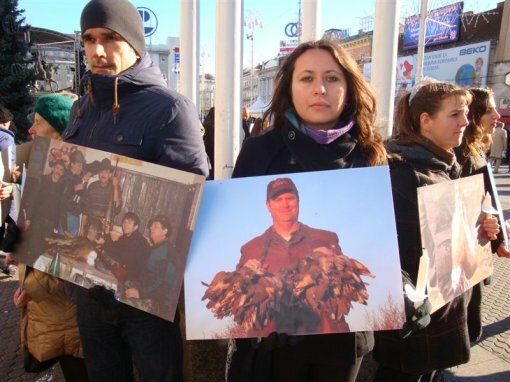 Hunting should be extinct and replaced by the peaceful protection of animals and nature.